Gifting the Torah to a G-d-centered world. This week's dynamic edition of Temple Talk finds Yitzchak Reuven and Rabbi Chaim Richman preparing for the Torah reading of Yitro. Who was the man that became Moshe's father-in-law? How did he deserve that the all-important Torah portion featuring the giving of the Torah, should be named after him? 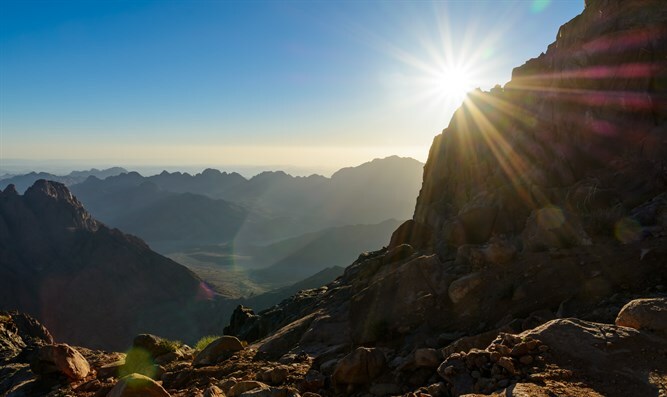 What is the relevance of the Sinai revelation today? Our hosts discuss these questions and more in this week's fascinating program.